Going through a divorce or fighting a child custody battle requires aggressive representation. At Spann and Spann, P.C., experienced attorneys handle the full spectrum of family law issues, including support, visitation, international custody and separation. They have spent decades in negotiations, courtrooms and other legal settings advocating for people whose future is on the line. At this law firm, clients are met with a team that is compassionate toward their situations and relentless in finding a fair solution. The attorneys here are engaged with legal organizations such as the New York State Bar Association, the Northern Chautauqua County Bar Association, the Erie County Bar Association and the New York State Magistrates Association. Spann and Spann, P.C., takes cases from East Aurora, Fredonia, Mayville, Jamestown, Buffalo, Orchard Park, Pomfret and Hamburg as well as throughout Cattaraugus and Chautauqua counties. To best accommodate clients, the law firm accepts credit cards. 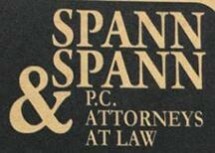 Spann and Spann, P.C., is a debt relief agency. They help people file for bankruptcy protection under the U.S. Bankruptcy Code.